Beards need extra love with the Fall season approaching rapidly. With Fall’s cooler days and nights, it’s time to take extra care of that beautiful beard you’re sporting. Beard Oil: How Do You Choose? As the cool weather continues its recession, your beard doesn’t have to go with it. Here’s how to keep your manly beards and or scruff in check as the temperatures start to rise in the summer months. Beards are associated with winter warmth, but not for the reason you think. See, while your manly scruff may keep you toasty by acting as a windshield, it doesn’t do much in the way of insulation. That means it won’t retain heat during the scorching height of summer. In fact, some beardsmen even claim that their whiskers keep them cool—dissipating heat as the hairs grow damp from sweat—but we can’t confirm or deny either way. Plus they help to keep bad bacteria out and improve your skin underneath your beard. Your beards may not act as a woolen scarf, but it can cause irritation when your skin is hot and damp, so it’s all the more important to keep it properly cleaned. Scrub it down every morning or twice a week with a specialized cleanser, like our famous beard washes, The Famous Beard Oil Company offers two different kinds: 8 oz. Eucalyptus & Lemon and Cedarwood & Patchouli. This will remove any grime or debris that might accumulate in your beards, causing inflammation and itchiness. This may sound a bit like overkill, but healthy facial hair starts with a healthy body. Summer is the season of dehydration, which can cause your hairs to grow brittle, and even more prone to breakage. Ensuring that you drink enough water is the easiest way to condition it. As well as exercise and having a healthy diet of leafy greens, protein and B vitamins. The Famous Beard Oil Company offers 12 different kinds of beard oil to choose from! Be sure to read up on them and choose which one would be perfect for you. All of our oils are 100% natural and have their own unique scent and texture. But if you’re applying something into your facial hair and the skin beneath on a scorching summer morning, you might as well make it refreshing. Try swapping out your beard oil for a lighter, citrus alternative, like our famous Nautilus blend, Spicy Citrus, Monk’s Dream or Clean Slate. But it’s definitely up to you to choose which one of our award winning beard oils is best for you! 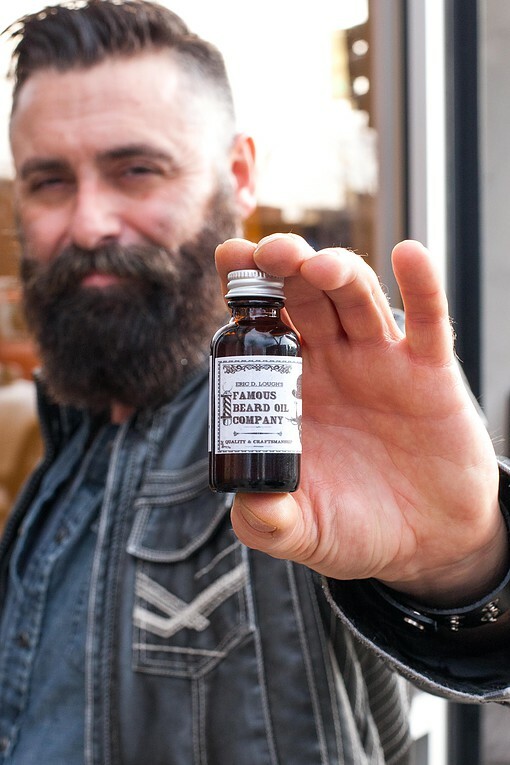 Interview with the founder & craftsman of The Famous Beard Oil Company. The mission of The Give Voice Project is to showcase the voices of everyday people just, well, doing their thing. Whether it’s working, spending time with friends and family, or immersing themselves into the things they are most passionate about. The Project aims to capture the essence of what keeps people moving along- what is it that drives them to push through each and every day? Do they have a certain mindset or philosophy that motivates them? What do they stumble over? The Famous Beard Oil Company’s founder & craftsman, Eric D. Lough, had the opportunity to share his voice in this interview about his artistry, passions and Beard Company on this awesome project started by Diane M. Ross, Psychologist & Journalist. Click the link below to listen to the interview now and get inspired! Applying Beard Oil Like A Pro by The Famous Beard Oil Company. Learn to use beard oil without a dropper and with one as well! 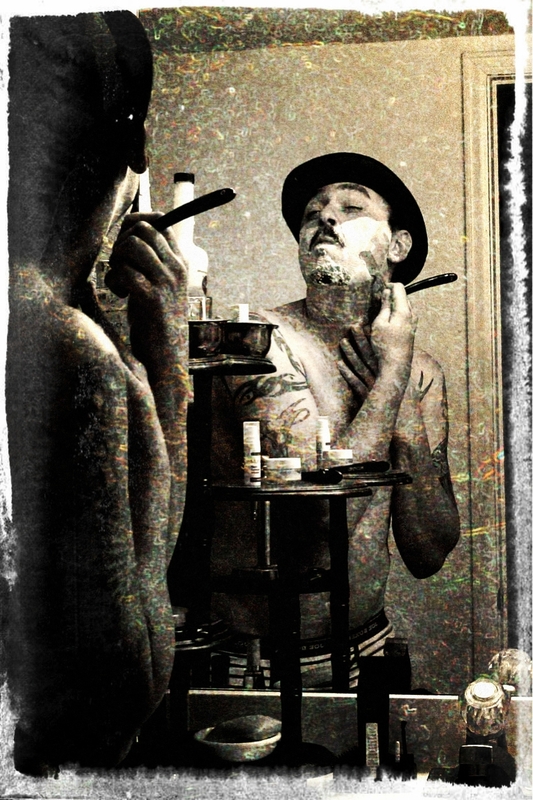 How to properly brush and comb your beard to perfection and tweak your glorious mustache. Founder and Craftsman Eric D. Lough gives you all the needs and questions in this introductory video and discusses The Famous Beard Oil Company’s newest premium beard oil, Arcadia; Olympus in a 1 ounce bottle! Brimming with the ancient healing oils of Frankincense, Myrrh, Rose Hip Seed, Almond, Argan, Pumpkin Seed, Helichrysum, Safflower and Sandalwood! This beard oil is a crown and one of myth and legend.